Beyond general maintenance, having your rug cleaned by an Oriental rug specialist is important, not only to preserve your rug’s integrity and beauty, but to also ensure your home is free of allergens that can make for an unhealthy living or work space. With that in mind, here are the most common mistakes some Oriental rug owners can make by not having their carpet professionally cleaned by experts trained in the area. Oriental, Persian and Turkish rugs are often a tremendous investment, which makes some owners hesitant to have their rug cleaned for fear of the carpet being damaged during the process. By having someone trained in the techniques and shampoos utilized in Oriental rug cleaning, you can ensure your rug’s dyes, materials and quality won’t be diminished through a comprehensive washing. The best time to have your rug cleaned is sooner rather than later, because otherwise more dust and other allergens will accumulate, and your rug may deteriorate to the point of causing visible damage, staining and wear. Not everyone who does professional, in-home carpet and rug cleaning uses the proper equipment or cleaning solutions for Oriental rugs. Typically, those who come to your home to perform cleanings will use a standard shampoo and all-purpose vacuum that is not specifically designed for Oriental and Persian carpets. At Ahdoot, we only use tools and cleaning agents deliberately intended for use on handmade rugs, many of which contain natural fibers and dyes that require exceptional care. Another issue we often see when owners either clean the rug themselves or hire someone to come into their home is the inability to remove all of the shampoos and stains, as well as providing a comprehensive elimination of pet dander, dust, pollen and other allergens from the rug. Cleaning an Oriental rug necessitates the use of a lot of water in order to cleanse its durable fibers of accumulated debris and blemishes. This type of service can only be found at places like Ahdoot which have facilities specifically built for heavy cleaning instead of surface cleaning. In addition to this type of cleaning, we also provide a thorough drying process that ensures your carpet won’t retain water or shampoos that can lead to mold and other fungi. Beyond not cleaning your Oriental rug enough, there’s also the mistake of cleaning your handmade carpet too often, which can lead to color fading and potentially a noticeable undoing of your rug’s threads. 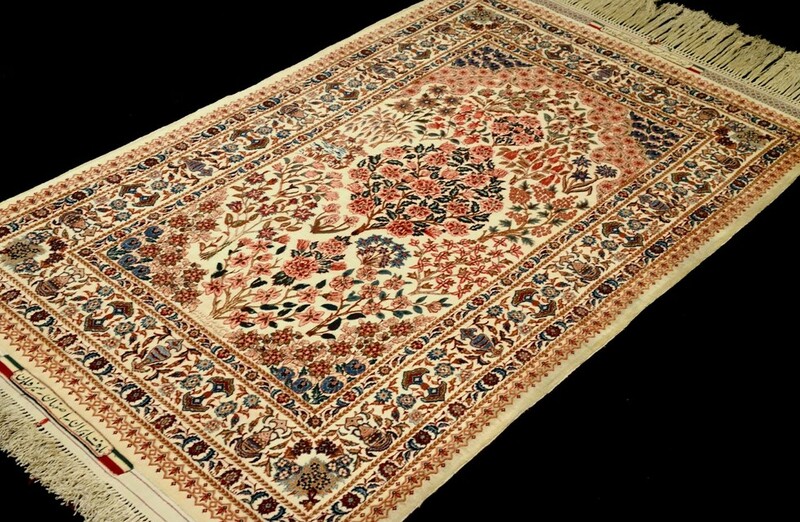 Really, what’s most important about keeping your antique carpet in its best condition is giving it the professional maintenance it deserves, which means having it examined, cleaned and dried by Oriental rug cleaning professionals.